Despite the soothing sound of Strauss, floating down from an upstairs window, our small group hovered nervously at the entrance to Vienna’s Eschenbach Palace. The reason? We were about to begin a waltzing lesson. 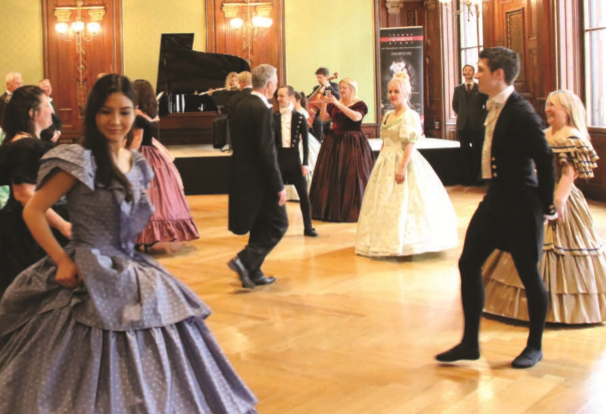 A waltzing lesson in the Golden Ballroom, the very place where the traditional Viennese waltz was invented. What’s more, wewere going to do it in period clothing – which for us ladies meant a full hoop skirt and bone-crushing corset. Fortunately we were allowed to stay in jeans and sneakers as our teacher showed us the basics. Then, accompanied by a small string orchestra, we took our first steps. Thankfully the instructions were easy to understand and soon the steps became quicker and more complex. But then it was time to get into costume. “This has been on the top of my bucket list for ever,” said sun-tanned Dave from Santa Monica. “I have always wanted to learn to waltz in Vienna”. I couldn’t honestly say the same – but suddenly, twirling about in my ballgown with a tail-coated partner, it all began to make sense. What’s more, I realised I was having the most enormous fun. At the end we all celebrated with a well-earned glass of champagne. And as we trooped out into the bustle of the famous Ringstrasse, was I imagining it or were the ladies all moving more gracefully, and the men walking taller? 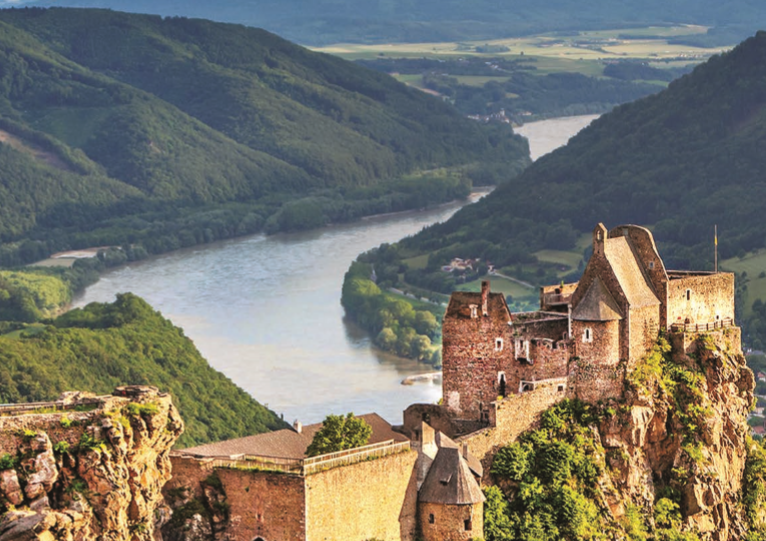 Taken from Avalon Waterways’ Active Programme for 2017, this adventure – among others – was being trailed as part of our cruise on the Avalon Passion, a brand new vessel transporting a mixed complement of American, British and Australian passengers along the Danube. Built on four levels with a sun deck on top, Passion has 67 passenger suites on two decks, with a dining room below. 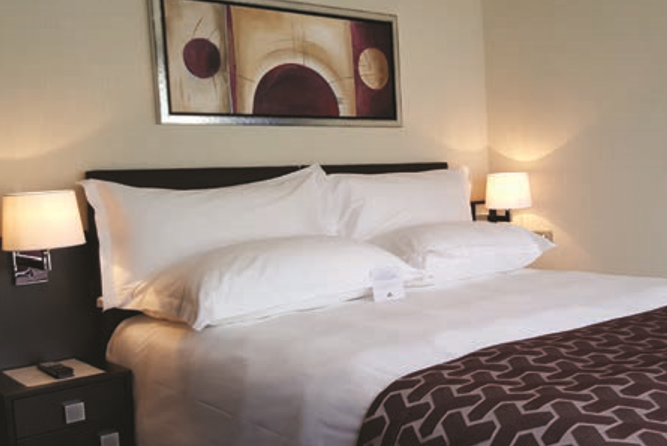 Suites are generous and well furnished, with a huge window giving spectacular views. Mine was a princely 200 sq ft, with a double bed facing a glass-fronted balcony – perfect for lazing around and watching the world go by. The decoris suitably luxurious, too, but it’s the human touches that really set the Passion apart. Whenever we returned from an excursion, the crew had set up a table with drinks, cool towels and other treats (you just have to try “Champavalon” – an unlikely but refreshing cocktail of champagne, cucumber and lots of ice). Reception and cleaning staff were equally friendly and attentive – not that we spent much time on board, at least not during our two days in Vienna. Apart from waltzing, activities on offer included urban bike safaris, hiking in vineyards, and a ride on a historic tram followed by traditional fare (think Wiener schnitzel, spaetzle and apple strudel) at a pretty taverna in the village of Grinzing. 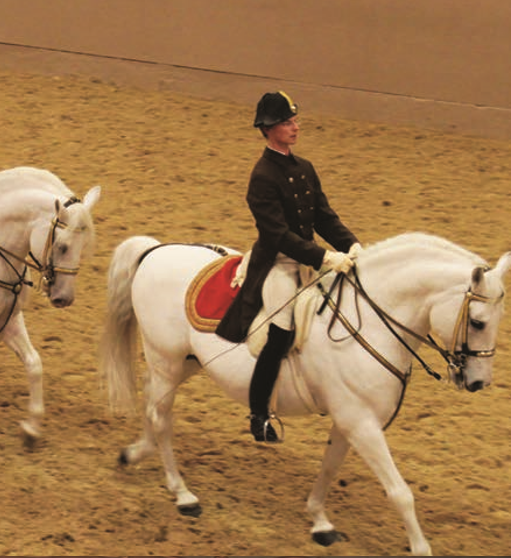 My personal highlight was the Spanish Riding School, famous for its white Lipizzaner horses, where we were treated to a guided “backstage” tour before watching these incredible animals put through their paces. We were told that rider and horse train together from an early age, and it’s at least eight years before they’re ready to perform. I can well believe it, because they don’t like to be hurried here. After all, it has taken them four and a half centuries to admit woman riders. Thankfully there are now role models aplenty for the horse-obsessed teenage girls who flock to this spectacular baroque palace. For foodie cruisers (and that’ll be most of us), Avalon offers a “Culinary DNA” tour which takes in the city’s renowned Naschmarkt. Almost a mile from end to end, and filled with every foodstuff and delicacy imaginable, Austria’s largest market couldn’t help but stoke the appetite. Fortunately our next stop was Zum Gschupften Ferdl, a tavern owned by young restaurateur Ferdinand Freninger. After a palate-sharpening glass of wine – a delicious blend of Sauvignon Blanc and the Austrian grape Grüner Veltliner – we were soon munching away on fresh bread and pumpkin seed oil, a little-known but delicious Viennese speciality. In retrospect it might have been wise to skip pudding, because after lunch we were back in the Naschmarkt to visit the Zotter Emporium, home of a chocolatier with somewhat unusual ideas. Pork crackling and chocolate, anyone? Early next morning the Passion nosed away from her moorings and turned upstream towards the pretty town of Dürnstein, a few hours away to the west. Despite the scenery I devoted my full attention to the breakfast buffet – and very excellent it was, thanks to a dedicated egg chef and serving staff who brought my teaexactly as I like it. In fact every mealtime on board was a pleasure – the only blemish was that one hot dinner turned up on a cold plate. Fortunately Dürnstein provided a chance to burn off some of the calories we’d all consumed on board, and there were many takers for a two-hour bike ride round the beautiful Wachau Valley (Nordic walking sticks are available for those who prefer an impromptu ramble). 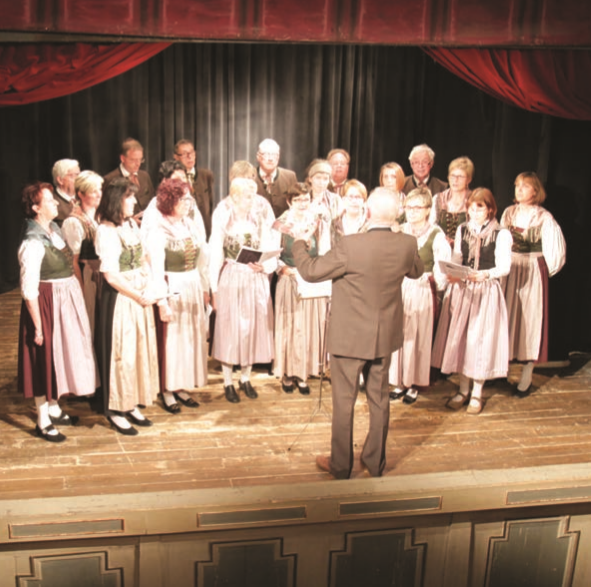 You can’t go far in Austria without hearing music – after all, this is the birthplace of Mozart, Haydn, Schubert, Liszt and the Strausses – and at our third port of call a real treat lay in store. In the chapel of the monastery at St Florian, near Linz, we stopped to hear a concert by the resident boys’ choir. And I don’t mind admitting that tears flowed freely as one of the older boys – already with several recordings to his name – sang Handel’s famous soprano aria Ombra Mai Fu. At the end of the day, with body and soul well taken care of, we returned happily to the Passion, reflecting that this is how all river cruises ought to be.